When moving one’s items, whether for a short or long-distance move, it is quite common to require storage for some or all of your belongings. Whether opting to use a professional Orlando mover or doing it yourself, there are two types of storage options. These are self-storage and a moving companies storage. Of these two options, self-storage tends to be the most popular and most often utilized, as it is affordable and easy to obtain. One simply signs a lease agreement with a storage facility, securing the unit with one’s own padlock and key. One then pays the storage facility a monthly rental fee for use of the storage unit. 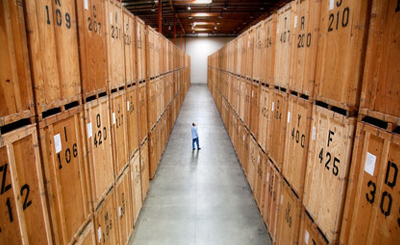 Self-storage is completely self-service, as one moves everything in by one’s self. Pricing varies depending on unit size and amenities such as climate control, a must in warmer areas. Benefits include being able to easily access one’s belongings at any time. When hiring movers, the moving company will often offer storage for a monthly fee and most all professional moving companies use what are called storage vaults. The moving company will pack your items in these vaults and then seal them up. Either way, a reputable mover will take careful inventory of your belongings to be stored and their condition. The mover will then wrap the items with padding to prevent damage before loading and delivering them to a climate-controlled warehouse, where they will be kept safe and secure. 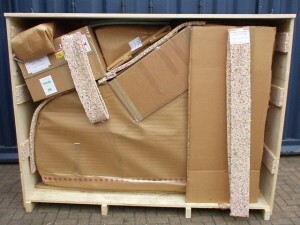 Generally, customers who choose moving company storage plan to store their items for a longer period of time, without the need for personal access or in cases where they are waiting for a new home to be built or to become available in which the mover will then redeliver everything that is in storage at one time. However, if specific items do need to be pulled out of storage, a good mover will be happy to do so, at an hourly fee. While storing household goods with a mover may cost about the same, it is money well-spent, as any moving endeavor often provides a challenging task best left to a professional and qualified mover. Proper packing and moving will not only give your piece of mind, but will also ensure that your items are stored in prime condition, free from damage and distress.